I have lots of questions; to whom should these be addressed? 2) If a CH zooite, say, were interested but they are not currently a university student, they should not consider applying (irrespective of how well they meet the language, academic background, computer skills, etc requirements), right? 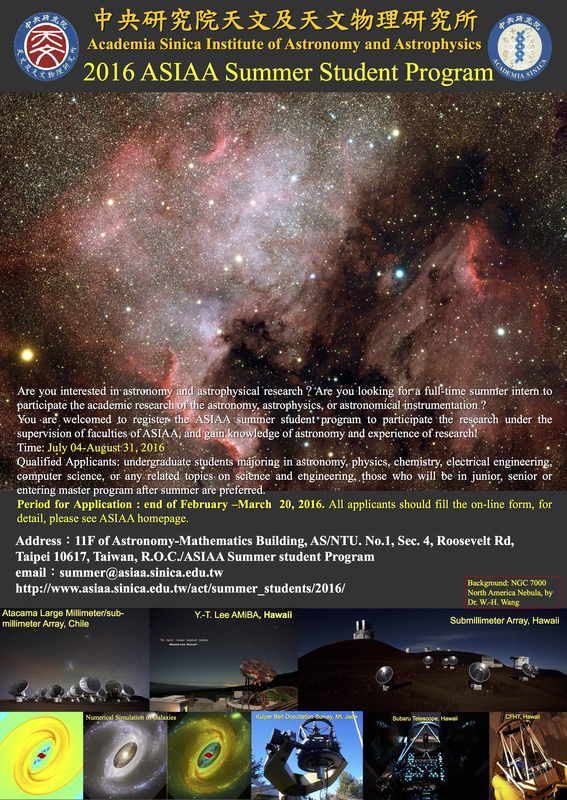 Requirements, rules, and restrictions for the program are http://events.asiaa.sinica.edu.tw/ssp/2016/detail.php This particular program is only open to undergraduate and masters students. I read all the links in the blog post, but wanted to be 100% certain that I, for example, could only apply if I were currently enrolled as an undergrad in a university, or in a masters program. Let’s continue the discussion in CH Talk (where I started a thread, after being unable to log onto WP).